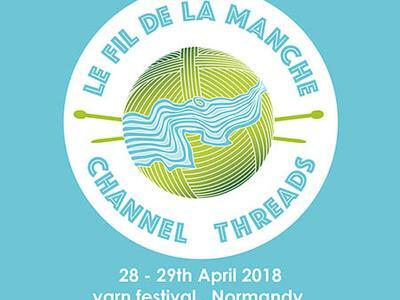 We will be just a hop across the channel the weekend of April 28th-29th at the exciting new wool festival at chateau de Miromesnil just outside Dieppe on the coast of Normandy. There is an interesting line-up of continental exhibitors, designers and workshops. 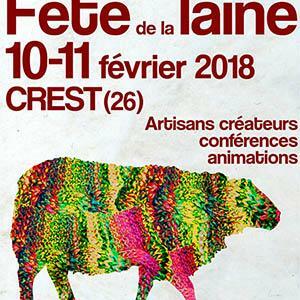 Book tickets and workshops, see the list of exhibitors and more information here Le Fil de la Manche. There will be transport from the Ferry port at Dieppe and the train station to the château, keep an eye on their web-site for more details. This feels like the birth of a major French wool festival. This year I will be teaching at least two natural dyeing workshops. A 5 day fully hands-on workshop, in English only, here at my humble dye-house in the Ariege. I have written a blog post for you to see some pics and get links to further information. 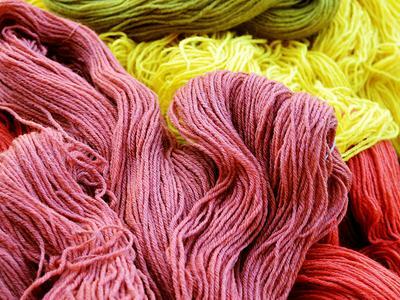 This workshop will fully equip you to dye any colour you like on woollen yarn. You will experience every step of the process from preparing and mordanting your yarn to dyeing with the powerful traditional dyes:- weld, madder, cochineal and indigo. We have a few other things up our woolly sleeve for 2018. In 2018 we are also looking forward to some kit launches in collaboration with some exciting designers. We will keep you posted. Anna Slawek on 01/28/2018 12:34 a.m.